The Educational Testing Service report on the correlation between income and education and levels of political and civic engagement (“Education and Income Levels Are Key Predictors of Civic Involvement, Report Says,” The Chronicle, May 23) is not news. Educational researchers call this the civic empowerment gap, or democracy divide, and trace it not only to sociological factors but also to unequal democratic learning opportunities in secondary schools. Students in higher-track classes, who are disproportionately European- or Asian-American from middle-class or affluent families, enjoy more discussions of important public issues and experiential curricular activities than do students in lower-track classes, who are disproportionately Latino or African-American and/or from low-income families. Your article quotes the ETS report’s authors, Richard J. Coley and Andrew Sum, as stating that colleges and universities can address the problem by encouraging students to vote and become civically involved through activities such as community service. This is far too little and too late. In fact, after conducting research on 12th-grade government classes, I concluded that real preparation of democratic citizens, an ambitious endeavor, must start in elementary school. Although our school system and society pay lip service to this fundamental purpose of schooling, current educational policy in elementary and secondary schools undermines citizenship education. The obsession with raising test scores in literacy and math squeezes instructional time for social studies, the subject that is home to democratic education. Recent studies document that the social-studies squeeze is worst in low-performing schools serving minority students from poor families, thereby contributing to the democracy divide. The “Civic Mission of Schools” report, from 2003, presents the necessary elements for a curriculum that actively promotes political participation. If we are serious about achieving democratic equality, we must ensure that all students have access to it. 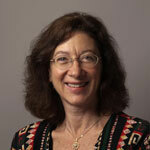 Judith L. Pace is an associate professor of Teacher Education at the University of San Francisco. This essay was originally posted as a letter to the editor of The Chronicle of Higher Education, May 24, 2012. Next Next post: You’ve Got Mail. And Better Things to Do.